Mezco presents action figures from one of the most successful and influential video game franchises ever created, Mortal Kombat! Based on character designs from the most current entry in the series, Mortal Kombat X, each 6-inch action figure features more than 23 points of articulation, many with ball joints, allowing them to recreate all the moves and poses that have made them part of gaming legend. 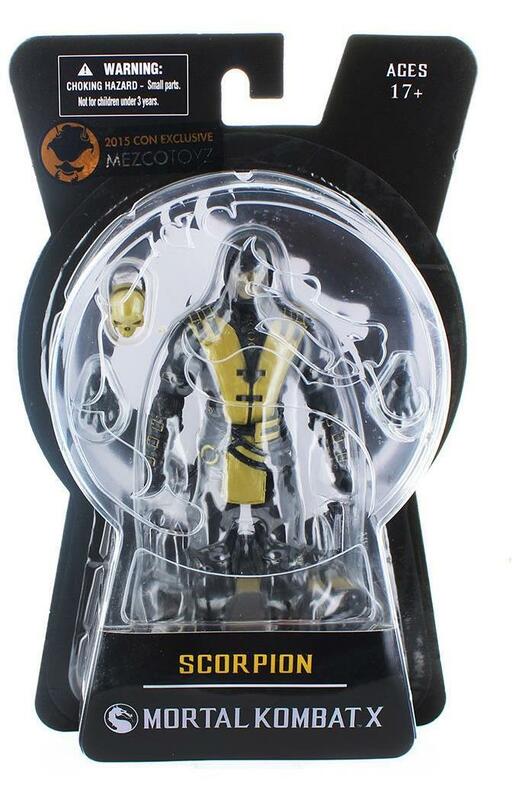 This New York Comic-Con 2015 exclusive depicts the hell-spawned specter, Scorpion, featuring a unique Black and Gold game accurate color scheme. Scorpion comes complete with his spear tipped wrist chains, as well as 2 game accurate swords. He also has an additional pair of fighting hands for even more game accurate poses. Figure comes in packaged in a collector-friendly blister card, perfect for display. Mezco presents action figures from one of the most successful and influential video game franchises ever created, Mortal Kombat! 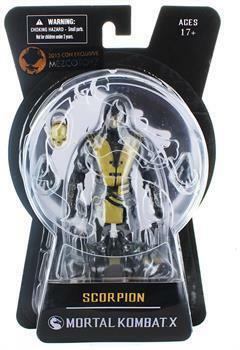 This New York Comic-Con 2015 exclusive depicts the hell-spawned specter, Scorpion, featuring a unique Black and Gold game accurate color scheme. 6-inch action figure features more than 23 points of articulation. Scorpion comes complete with his spear tipped wrist chains, as well as 2 game accurate swords. He also has an additional pair of fighting hands for even more game accurate poses. Figure comes in packaged in a collector-friendly blister card, perfect for display.